This is a Hensel 4-Leaf Barndoor Set with integrated gel filter holder for the Hensel 9" diameter reflector. Barndoors narrow the beam spread of a light fixture. They help create a 3-dimensional look to a lighting scheme by placing light in a specific area or by keeping it away. The more leaves a barndoor set has, or the longer the leaves, the more precisely the beam can be controlled. 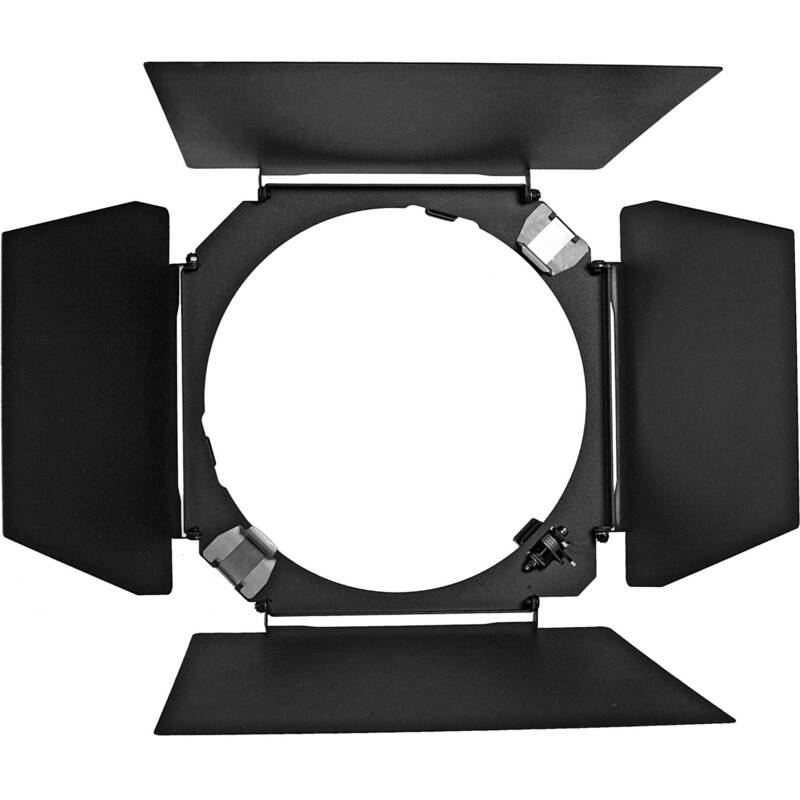 Box Dimensions (LxWxH) 14.4 x 10.7 x 2.0"
4-Leaf Barndoor with Filter Holder for 9" Reflector is rated 5.0 out of 5 by 3. Rated 5 out of 5 by Paul from Very useful attachment I use this doors with 9 reflector size S. Doors allow me to operate light in my desired directions, not flooding all area. It is very very useful for me, because often I want cut off the light from side, floor or ceiling. I reccomend it! Rated 5 out of 5 by Paul from very good I use this barn doors with 9 inch reflector S (Hensel) and this is great! It allows me to operate the light in demand direction and size. Very usefull attachment. Rated 5 out of 5 by Ryszard. S. from Hensel excellent 9 ban door I use this barn door with Hensel 9 3 reflector set with 4 honeycombs. Very good for hair light on boom arm's or some other application.